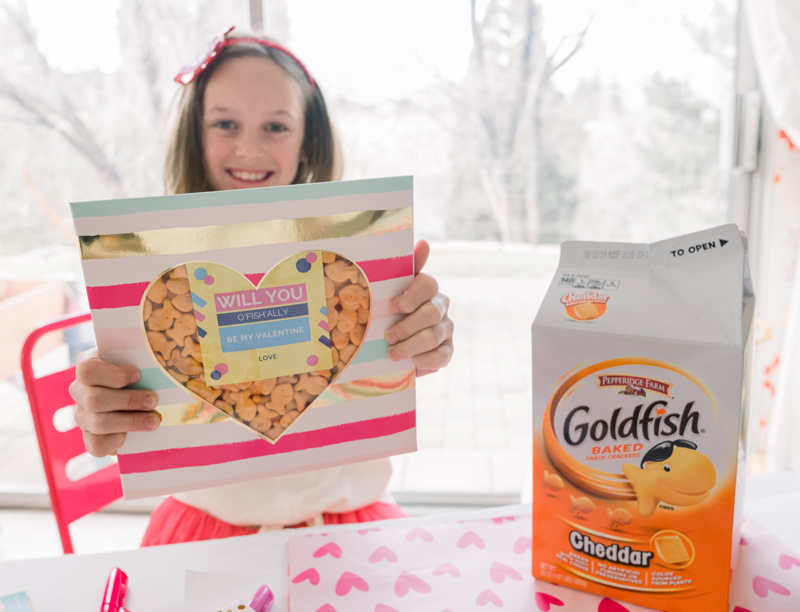 Inside: These 5 FREE Goldfish Valentine printable cards are sponsored by Goldfish® Crackers. All thoughts and opinions are my own. With Valentine’s Day coming up soon, the aisles are stocked with every kind of sugary candy possible. 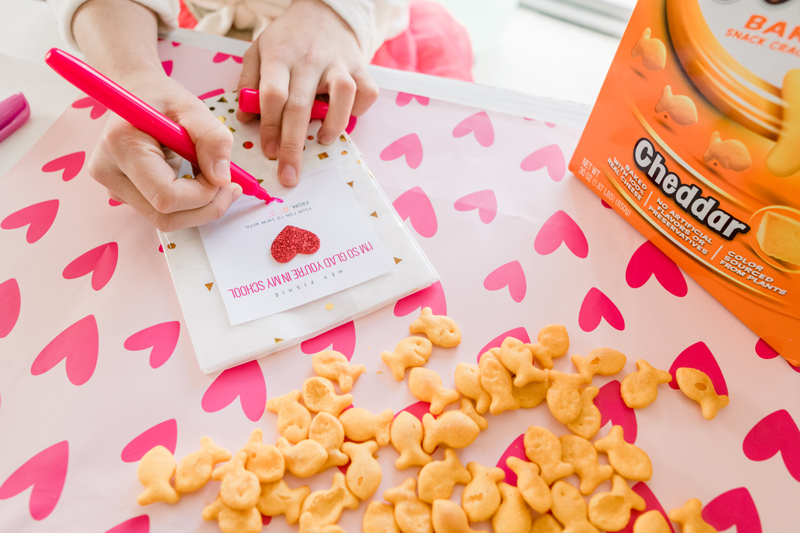 To send cute Valentines that also have a snack you can feel good about serving your kids, try creating your own with our free Goldfish® Crackers Valentine printable cards. 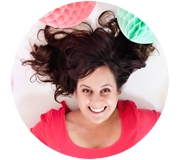 There are 5 separate options for creating a fun Valentine your kids will love to give and the other parents will be grateful to be given. 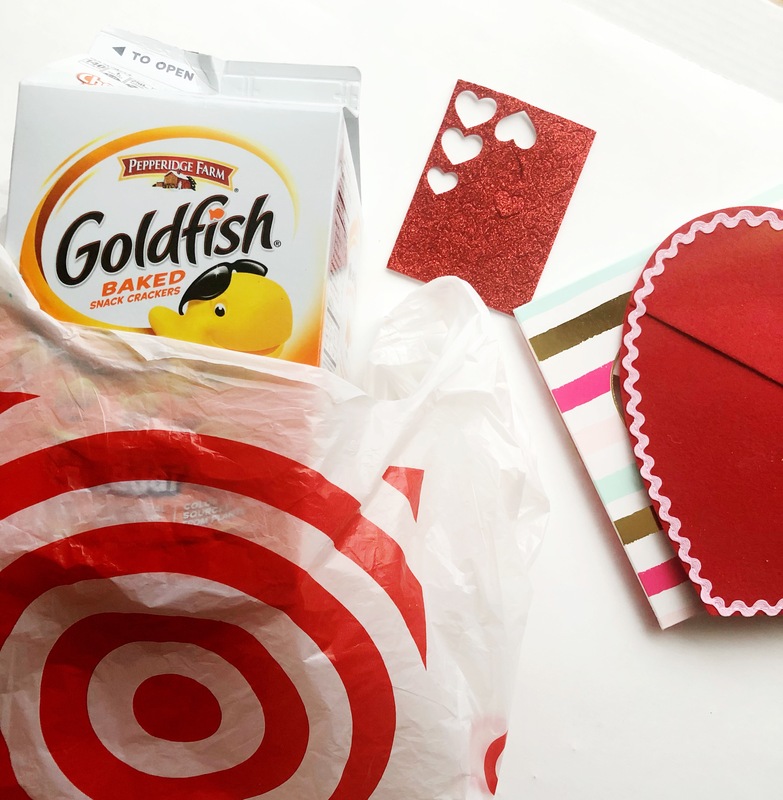 We easily grabbed all the supplies needed for these Valentines, including craft supplies, Goldfish® Crackers, and a few cute accessories to wear while handing out our printable Valentines. 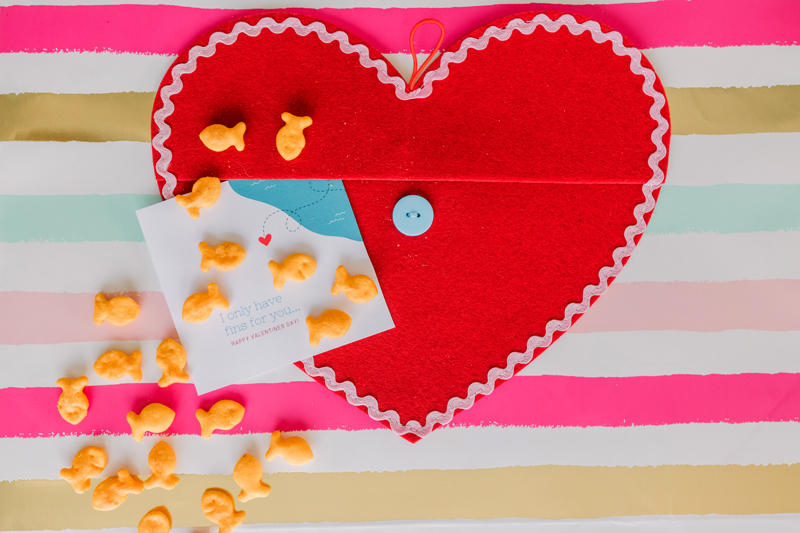 Although we’ve made other fun DIY Valentines in the past, making them with Goldfish crackers was extra fun this year. 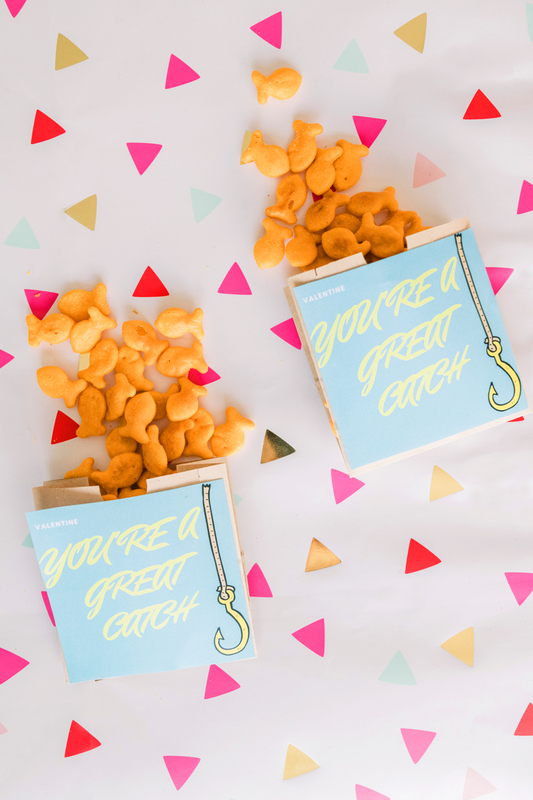 Knowing we were handing out a treat that was baked with real cheese and no artificial flavors or preservatives, but was still creative and fun, was a win all around. 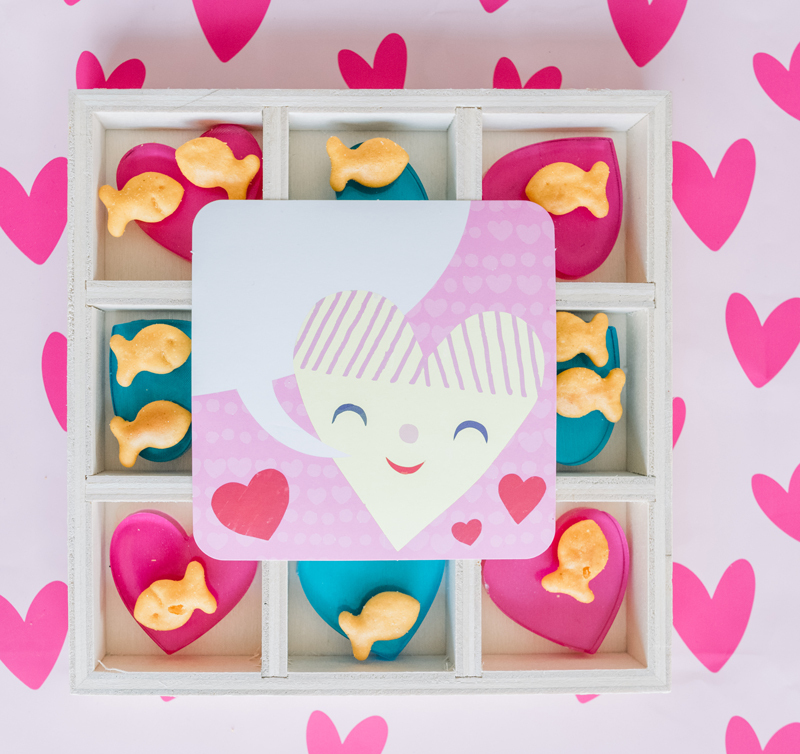 To make the printing process easy on you, I created a PDF for each of the 5 different Goldfish valentine cards right here. Simply click the Valentine you choose from the 5, download, and print. Pick your favorite design of the 5 free printable options, cut into squares (each printable makes 6 Valentines), and get ready to craft a stack of easy and fun Valentines this year. Find a package or a bag for the crackers. 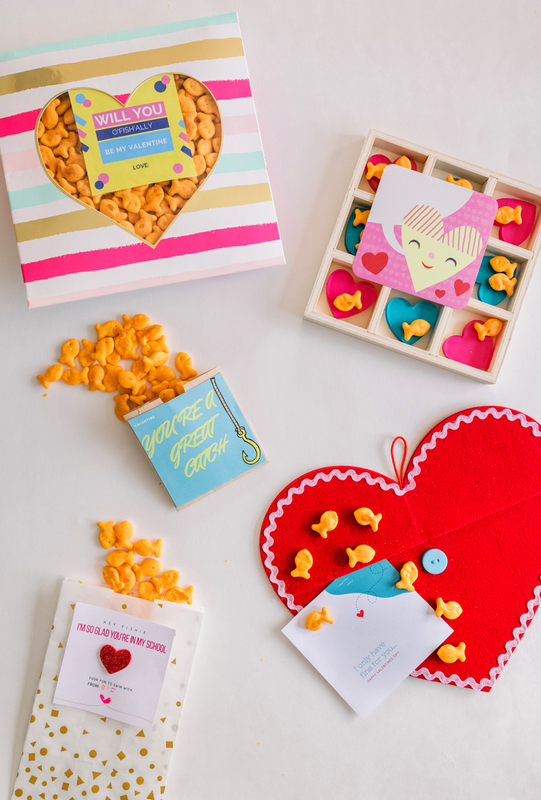 I had so much fun picking these out; this bakery box set was a big favorite for gifting to a couple good friends, and the smaller Goldfish bags below would be great to hand out for an entire classroom. 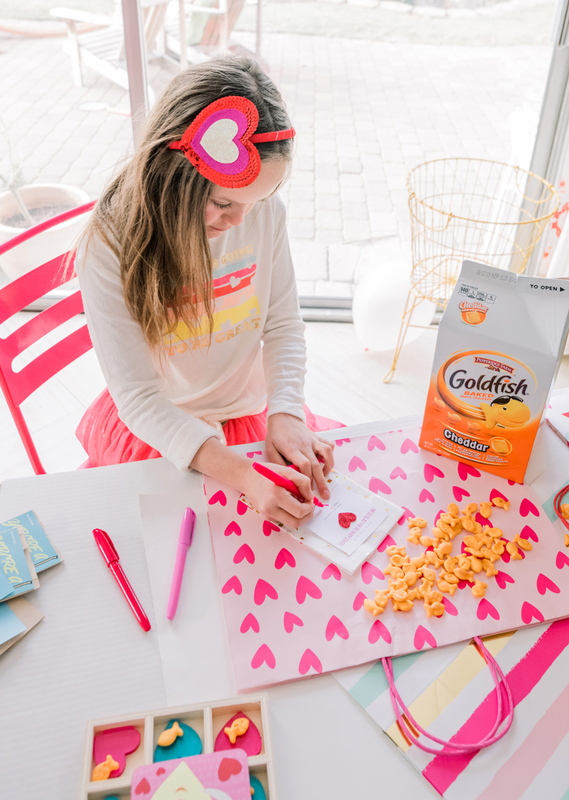 Since we can buy the Goldfish in bulk from our favorite store, it makes it easy to create as many Valentines as we need very affordably. 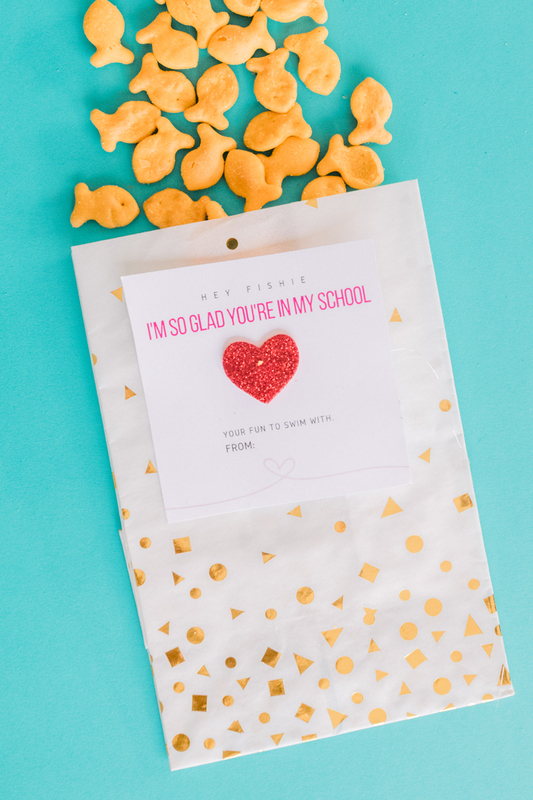 To create each of the Goldfish Valentine cards, we used hot glue to stick the free printable to the bag of choice and filled it with the Goldfish! 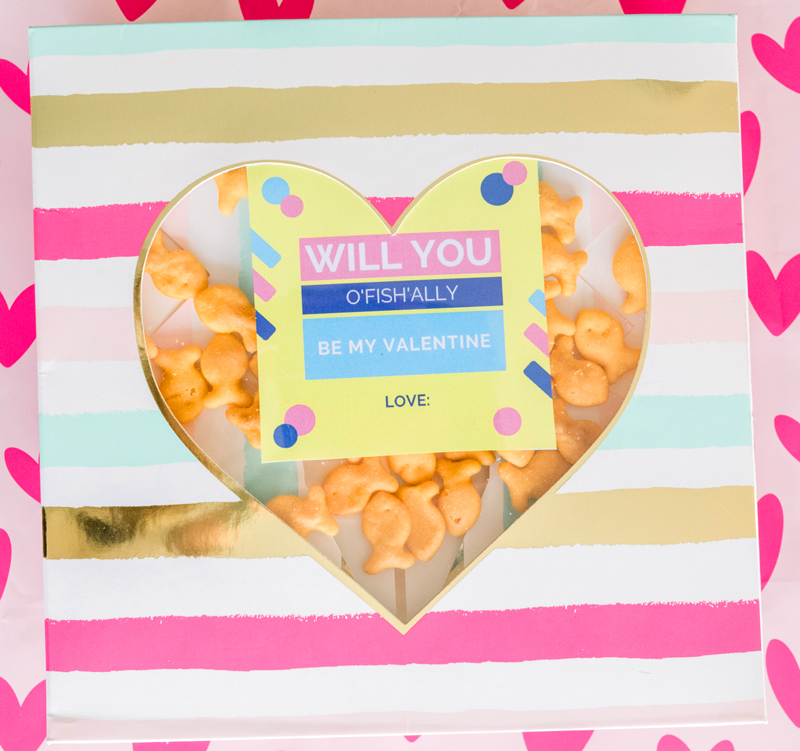 Make this Valentine’s Day o’fish’ally a day that everyone will love, kids and parents alike, with these sweet printable cards. (Photography @A Subtle Revelry by Alyssa Poland Photography).